Great customer service. Something a lot of companies lack these days. Not these guys. I was on a tight schedule and as soon as I arrived Mike was getting the job done. 25 minutes from start to finish, very impressive. Thank you. I booked my car in to the Dundee branch for its MOT. Test itself was great value and Mike went out of his way to help and get the parts required to get my car passed. The work required was undertaken to a high standard and much quicker than I’d expected. I will certainly be back at the branch and would highly recommend it. As soon as I arrived in the workshop the manager ( Michael Gellatly) quickly greeted me and asked how he could help. Within minutes of me explaining my problem regarding the car exhaust he had the car up on the ramp and shortly after his inspection invited me out to look under the car to outline where the problem was. He advised of the extent of the work required and the cost of the job. I left the premises while the work was underway and he contacted me when done as agreed. Very good service provided. Mike was excellent and provided first class service. Booked appointment and job was done immediately after I arrived.Staff couldn't have been more helpful.Would recommend to anyone. Excellent as usual accommodated my date change and work done promptly and on time, Mike is very customer focused despite clearly being very busy. Michael was quick, courteous and informed. Visited early Sunday morning only two staff were working. They were very helpful and attentive despite constantly having to stop working to answer the phone. They dealt with replacing the tyre on my car very quickly. It was a n excellent service and I would certainly use this branch again. Courteous and friendly service provided promptly and efficiently to provide new tyre for Openreach van. As usual just got great service from Mike and his team. My daughters VW Beetle was loosing pressure in both offside tyres. I had expected to need 2 new tyres, but Mike said I only needed 1, as it had a nail in it, but the other one just needed re-sealing. Saved me buying another tyre. I have been going to National Tyres for my MOT for the past four years, When they tell me it will be ready in one and a half hours, it always is ready. Over many years at other MOT garages I get told not ready yet and have to hang around for some time.. I also visit for oil changes. Excellent fast, efficient service. Good value for money. Will definitely use again. After an initial issue with a booking which was done on-line 3 weeks in advance, the problem was dealt with swiftly, courteously and Mike, the operative, went the extra mile carrying out the work requested. Excellent customer service from the branch operatives. I visited due to a serious puncture and my tyre size was not in stock. But the operatives rang and arranged one to bedeoivered within an hour. It took well over 2 to be delivered which was very frustrating to both the branch operatives and even more so for us, the customer. Always a friendly professional team every time I visit. From the minute you pull into the garage to the minute you drive out. Always honest, hard working, patient and willing to show and explain what work is required and why. Which for me is great as I am not well versed in mechanics being a ditzy girl ha ha. Price and timeliness quoted very reasonable. As a customer service trainer myself I am always impressed by the team. Good price, quality tyres and friendly and helpful staff. Staff helpful and respectful, efficient and felt I could trust them. I had a puncture and was quite upset. Staff made me feel welcome and were respectful, efficient and overall just really helfpul. Friendly and efficient staff in Dundee who didn't make me feel like a silly woman! Explained things to me in a way that I could understand. On both occasions (this year) that I required the assistance of this branch I came away completely satisfied. Realising that I had a problem with my steering on the way to work I popped into National Tyres, Strathmartine Rd, Dundee without my car being booked in. Even though the Staff were busy they took time to listen and go over the problem. I left my car at 9 a.m and collected it at lunchtime - with tracking checked and 2 new front tyres. Exceptionally helpful Staff. Also - Mike explained to me about how tracking affects the wear and tear of tyres in a way that even I understood !!! Great service from MIke and Brandon in Dundee. Quick, good value - friendly and polite. I gave a 10 because of the service I was given , being able to get an appointment for an MOT on a Saturday morning was good as I am unable to attend during the week because of other commitments. The service was excellent, on time and very professional , the MOT Tester (Michael Gellaty) was very knowledgeable and helpful as to explaining the results of the test and as to the general maintenance of my old car. I would definitely recommend this company to other people. Local branch is usually very obliging and provides effective service. Prompt, friendly and efficient service at a good price. Helpful, cheerful, efficient staff and reasonable cost. top marks to the fitters very quick and helpful. Your member of staff was very helpful and gave me good information about the problem with tyres I had. Pleasant staff and a quick and courteous service. Very efficient and friendly service. Prices excellent. they are very helpful and explain everything to you before they fix your car. Good expert service and advice. good product prices & service friendly manager but difficult getting a time slot , I would have 2/3 oil changes a year if I could get them scheduled. Friendly and helpful staff at the strathmartine road branch. efficient service, good prices and courteous staff. Excellent service and advice on what I needed. Fantastic service, as a woman I don't feel intimidated using the garage on my own plus the guys don't rip you off :-) I've used the garage for a few years now and will continue to do so. I called this morning and was told that if I came along now they would fit the new tyres as requested, it took them 20mins for 2 tyres, now that's what I call efficient. Michael at the Dundee branch explained all the options to me before going ahead. Honest evaluation given, no pressure. I am contacting you to say that one of your Broughty Ferry Dundee staff reversed into my stationary parked car inside the garage. I was already out of the car so could not move out of the way. There was no sign on the garage to say that customers cannot park inside the garage area, and I have always driven carefully into tyre depots without any complaints from staff. The damage on my car is a dent in part of the black front bumper plastic grill. The mechanic should have been more careful when reversing, as it could have been a person walking behind. He had plenty of room to carry out his manoeuvre. I forgot to get the mechanic's name, because he is to be leaving soon, and I think he was Irish. The incident happened on Sat 18th April at approx 14.35pm. I have taken photographs on my phone. I would be grateful for some sort of compensation because I am going to be out of pocket. I would settle for a free pair of rear tyres to cover the cost of my car's damage. Thank you. I look forward to hearing from you. Ps. I was only at this branch to get a puncture repair. Yours sincerely, David Paton. Home Tel No. 01382 532623. Quick service and sharp prices. A very good and fast efficient service. Amazingly quick prompt service. Manager very pleasant with a good sense of humour. Got the impression he had a happy workforce working for him. Customer service by Michael Gellatly was excellent. Polite and well mannered. Sourced brake pads locally for me as none were in stock at the branch and had them and a new tyre fitted quickly and efficiently (within 90 mins of me arriving at branch). Good and fair prices. The staff acknowledged me as soon as I cam into the office. I dealt with two members of staff who were both very friendly and helpful. I felt that the price quoted was fair. I have dealt with my branch of National Tyres for many years and have always had courteous service with good advice. I was very pleased with the service that I received. Excellent, fast and friendly service. your staff were able to diagnose and repair a brake problem that one of your main competitors couldn't find. very helpful and courteous, good advice from fitter. Fast, customer friendly staff. Great service. Walked in, 4 new tyres fitted, balanced etc. Tracking checked. Dealt with swiftly and with civility. Efficient and helpful. Sensitive to my specific needs. Convenient local, helpful tyre service. Better value and much less hassle than others e.g. Kwikfit. I had to purchase via internet(with help as I am not PC literate) to get the best price and then go to the branch. Quick service and after I asked they called me when finished as had my two small boys with me. Assuming 10=high. Usually very pleased with service. Friendly service and fast/efficient. The centre was busy but I was asked if I was leaving the car there or waiting. I said I would wait so the guys did everything efficiently so that I do not have to wait too long. When my partner first telephone he was given all the information he needed and the guy was able to answer all his questions. Then when we arrived at the centre the job was done in less than 30mins. From them taking the car from us to us driving it away they were very very pleasant and explained a few things to us too. Very reliable and professional in what they do. I have recommended many friends and family to go to national. 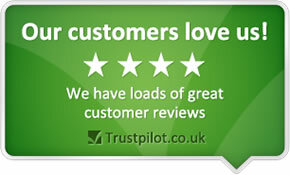 David Clenaghan the manager is very helpful and professional in treating the customer. As usual the service was cheerful and helpful, however, the part was not ordered, although it was confirmed that it had been, so I waited over a week for the job to be done.